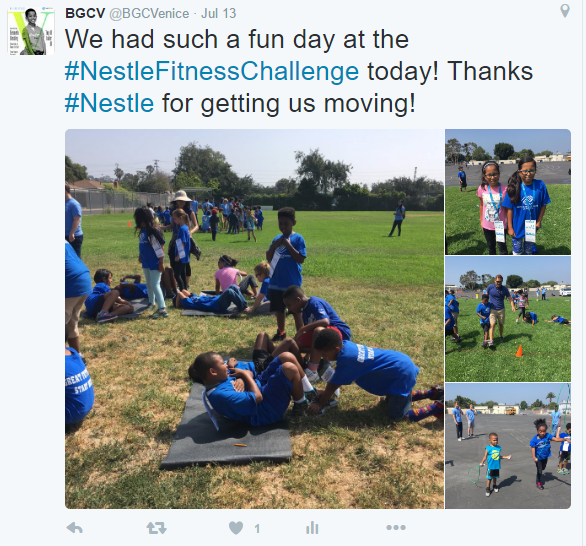 BGCV Commit to Be Fit! Club Members Commit to be Fit! 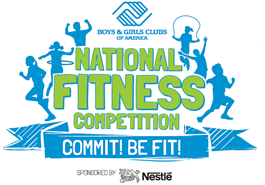 The National Fitness Competition is designed to lead Club members to physical literacy. Physical literacy is defined as the ability, confidence and desire to be physically active for life. ABILITY refers to competency in basic movement skills; CONFIDENCE is knowing one has the ability to enjoy physical activities; and DESIRE is the intrinsic enthusiasm for physical activity. The BGCV believes in the benefits of a healthy lifestyle. Club members will compete against themselves and strive for improvement—building intrinsic motivation, confidence and physical competence—thus enhancing the Club’s overall culture of wellness. Here are photos and a short video of the first event held on July 13, 2016 at Mark Twain Middle School. 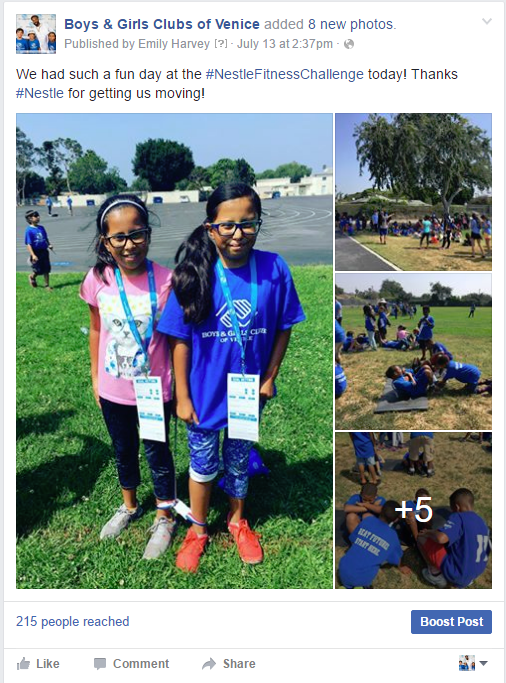 A big thank you to Nestle, who is the national sponsor, and for providing our Club with 30 volunteers!